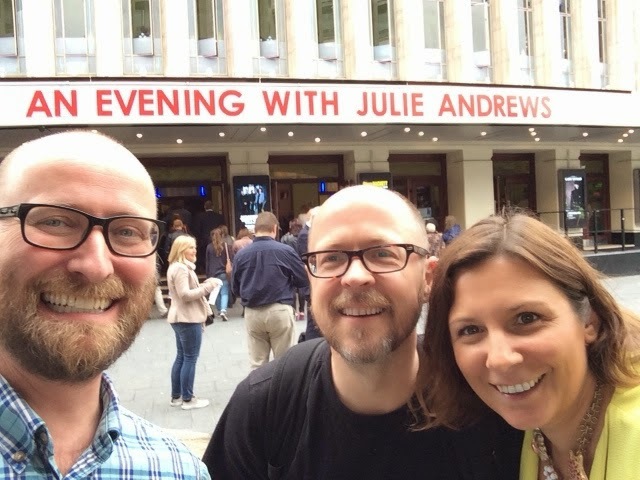 Last Friday night Stuart, Fay and I went to the Eventim Apollo in glitzy Hammersmith to see An Evening With Julie Andrews. It was utterly brilliant! She was charming, funny and saucy. The first half was Dame Julie reliving moments, showing film clips from many, many films and telling stories about early early life and career. The second half was a Q&A with Aled Jones including more film clips. 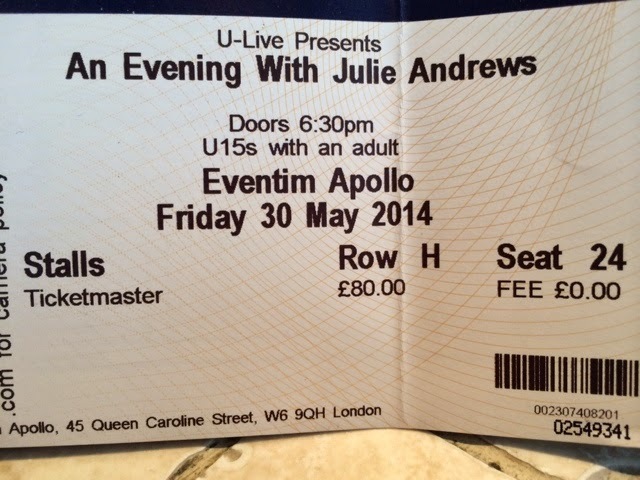 It was the show the O2 one should have been.